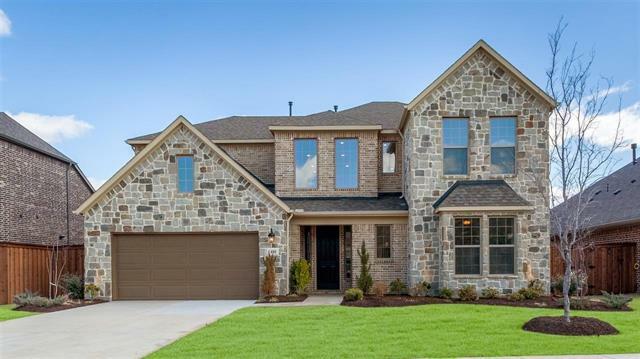 All Haslet homes currently listed for sale in Haslet as of 04/20/2019 are shown below. You can change the search criteria at any time by pressing the 'Change Search' button below. 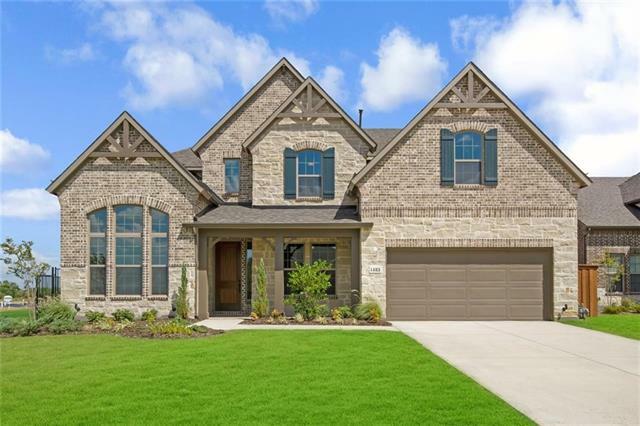 If you have any questions or you would like more information about any Haslet homes for sale or other Haslet real estate, please contact us and one of our knowledgeable Haslet REALTORS® would be pleased to assist you.
" 70+ ACRES * SINGLE FAMILY DEVELOPMENT SITE OR RANCH * ARIEL VIDEO * DISCOVER ALLIANCE AIRPORT'S FUTURE GATEWAY * 70+ ACRE JOHN DAY RANCH * OFF 114 ...N Border is 'NEW' Alpha Ranch Development--3,000+ Proposed Homes * S Border is History Maker Homes * HOTTEST PRIME LAND DEVELOPMENT N OF FORT WORTH Denton County * Northwest ISD * Fort Worth ETJ * Developer s Dream Perfect for Subdivision, Ranchettes, Commercial, Industrial, Multi-Family * Ag Exempt * 2 Ponds * 2 Water Wells * Overlooki"
"Country Living with Big City amenities! Nestled down a country road is a charming piece of land that is ideal to build your business. Run cattle or develop into SF lots, home business, RV park, B&B, warehouses, storage, or any low traffic type of business or dream home. Per owner this is Not in city limits and has No restrictions! 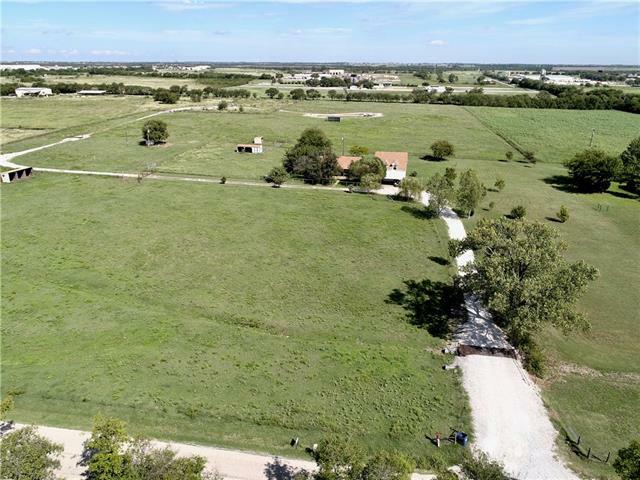 Land features fencing, cattle pens and good pasture. 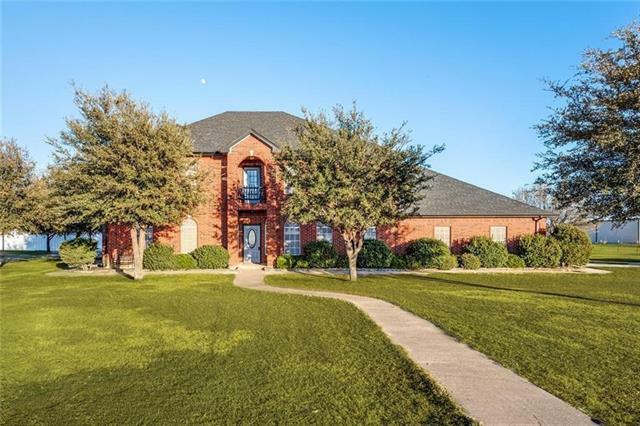 Hot location only 15 minutes down 114 to the Texas Motor Speedway, Bucees & outlet mall OR head South down 287 "
"Northwest ISD BRING YOUR HORSES. Exquisite Property on 5 acres! Features include 2 workshops and a 50x20 loafing barn or room to store vehicles or equipment, 50x100 4 stall show horse barn with wash stall, feed and tack rooms, 30x40 2 bay workshop with 2 finished rooms and bathroom for storage or home office.2 outside stalls for horses or livestock. Property is completely fenced and cross fenced. The home has a wrap around porch. 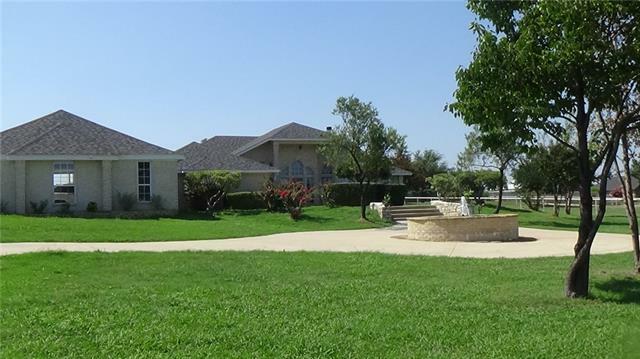 All improvements to this property are exceptional and to the high"
"Country Ranch Estate Close to the City Exceptional steel construction 5,121 Sq ft home on 5.93 horse-zoned Acres. 2 legal parcels. Gourmet Granite Kitchen. Travertine floors & high end Finish out. Gorgeous Master Suite with Fireplace & Spa Bath. 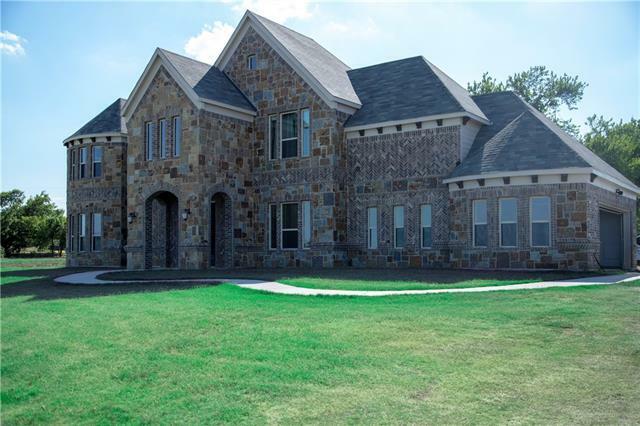 Impressive Austin Stone Entry, Custom Entry Gate, Wrought Iron Fences. With Fountain and over 3k in newly planted trees over 18ft tall with sprinklers & drip irrigation system. Updated cabinet work with stainless steel handles & new stainless steel doubl"
"BACK ON MARKET!! Excellent location. Sellers motivated. Great low risk investment opportunity. 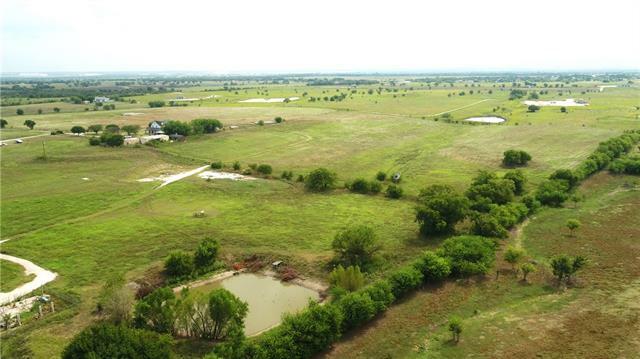 Very few 10 acre lots left in Haslet. Land is located near Hwy 287, I35, and other major hwys. Less than 5 miles from Alliance shopping center. Currently zoned residential. Commercial zoning is possible. City of Haslet open to future developments and growth. Perfect for Live Work Development or Community Center, so much potential is in this well laid out property. Survey available. TxDOT to widen 156 i"
"NEW CONSTRUCTION built by Southgate Homes! Scheduled to complete in June! Same plan as the model home there. 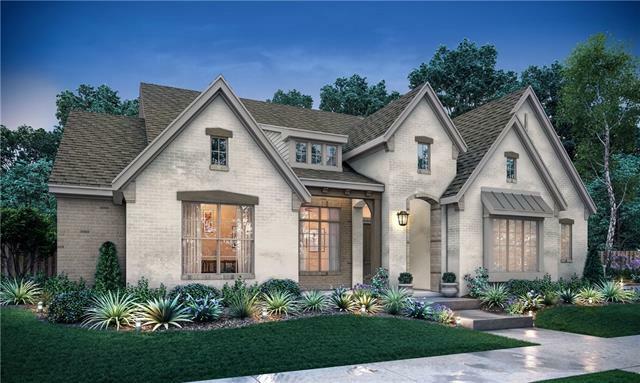 The Hawthorne s welcoming covered entry leads into the stunning two-story foyer with views to the sunlit family room and covered patio beyond. The 3 secondary bedrooms include their own full bath and roomy walk-in closets. The master retreat boasts a cathedral ceiling and French-door entry into the master bath. Additional features include an abundance of windows in the family center and"
"NEW CONSTRUCTION built by Southgate Homes. Scheduled to complete in July. The Dylan II s covered entry opens to a cozy foyer and impressive formal dining room. The well-equipped kitchen features a large center island with breakfast bar, sizable walk-in pantry, and plenty of cabinet space. The completely private master bedroom boasts a cathedral ceiling, generous walk-in closet, and spa-like master bath with dual vanities, large soaking tub, and glass-enclosed shower with seat. 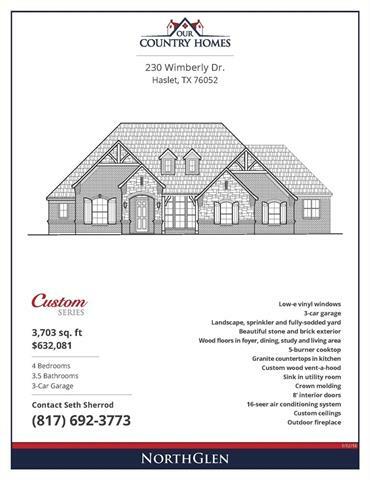 Secondary bedroo"
"New Community in Haslet with one-half acre lots. This home has all the comforts for your family. Spacious open concept is perfect for family evenings together and entertaining. Covered patio with a fireplace is the perfect place to enjoy your evenings. Exterior is all brick and stone with great cur appeal. Too many options to list. Home is currently under construction." "NEW CONSTRUCTION built by Southgate Homes. Scheduled to complete in May. 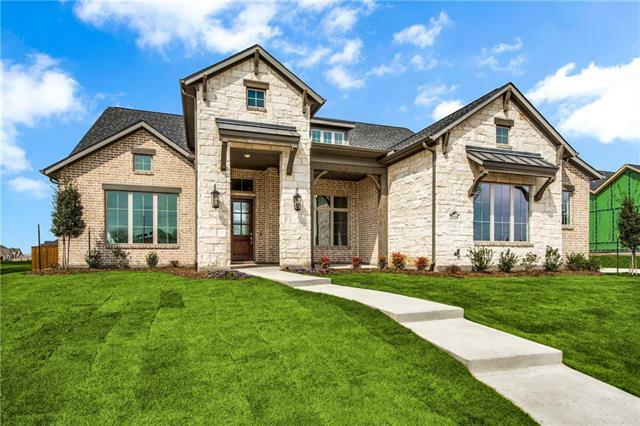 The Fredericksburg highlights everything you would need in a one-story home. This home includes a private study, 3 secondary bedrooms with a full bath and walk-in closet, a sunlit great room, master bedroom retreat complemented by a spa-like master bath, and so much more! This open floor plan also includes an expansive covered patio with a cathedral ceiling for all your outdoor entertaining." "NEW CONSTRUCTION built by Southgate Homes. Scheduled to complete in July. 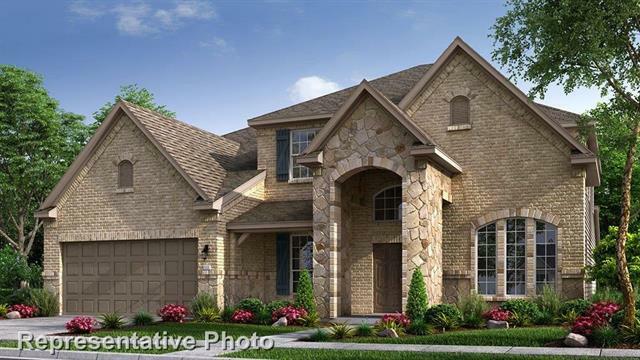 Popular 1 story Uvalde Floor plan with 4 bedrooms, study and a media room. See Southgate Homes website for more details and photos"
"New construction built by Southgate Homes. Scheduled to complete in May. 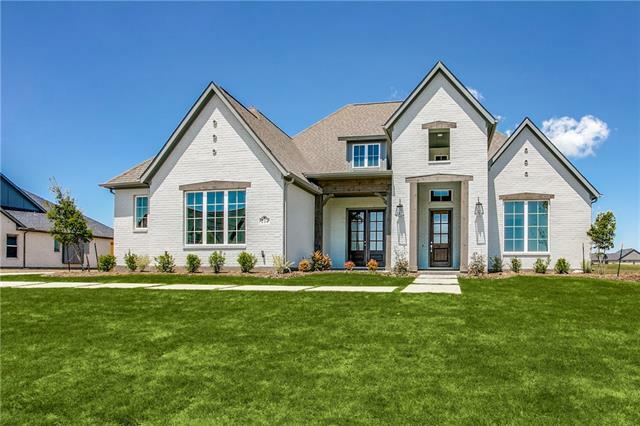 This home highlights everything you would need in a one-story home. This home includes a private study, 3 secondary bedrooms with a full bath and walk-in closet, a sunlit great room, master bedroom retreat complemented by a spa-like master bath, and so much more! This open floor plan also includes an expansive covered patio with a cathedral ceiling for all your outdoor entertaining." 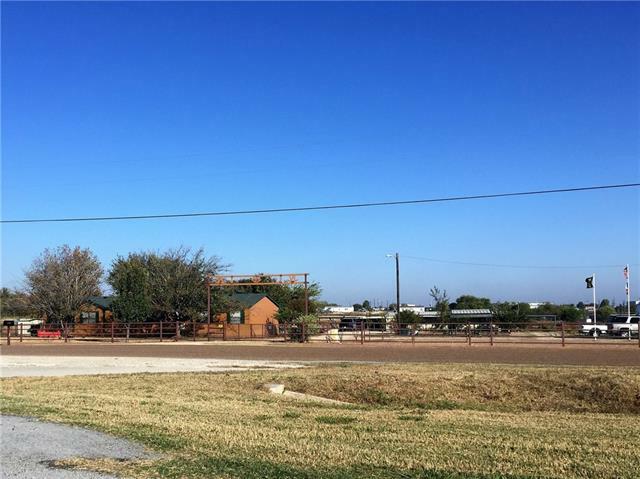 "5+ gated acres in Northwest ISD! This traditional home features 4 bedrooms, 3 bathrooms, a spacious master suite, exercise room and 3rd floor media room. Entertain outdoors on the large open patio equipped with a fireplace, kitchen, pool and spa. The large workshop has an attached unfinished apartment, 3 horse stalls and tack room." "Come to paradise through the secured electric gate with trees to a circular drive with water fountain. Your horses, animals will love this immaculate home too. Go over the bridge and under the pergola and past the gazebo to your guest house out back that has a full kitchen, bathroom, & laundry room. The workshop is huge with electric. Lot's of storage on the upper deck in the workshop. Then out to dog runs and stalls. Lot's of parking for all your vehicles, RV's and boats. The main house has an"
"MLS# 14010538 - Built by Taylor Morrison - Ready Now! ~ The Amethyst is a beautiful new design with the master retreat and a second bedroom and bath downstairs; this plan is popular! Find a study off of the foyer, entry that leads into the open concept layout. The gourmet kitchen overlooks the gathering room and dining space. The master retreat has a sitting area in the bedroom along with his and hers walk-in closets in the master bath that connect to the laundry room and owner's entry. 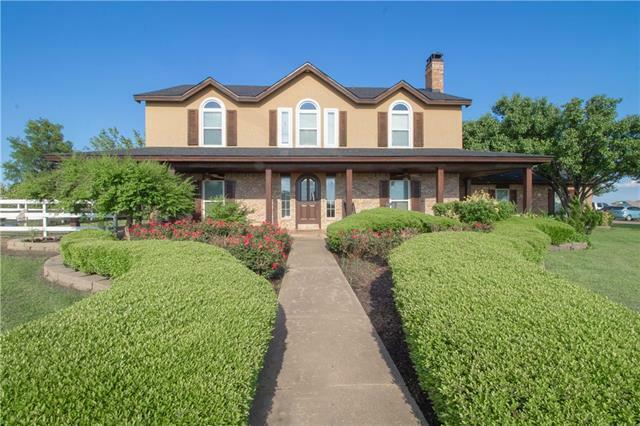 The othe"
"Beautiful 3 bedroom 2.5 bath home on one of the largest lots in Haslet Heights! 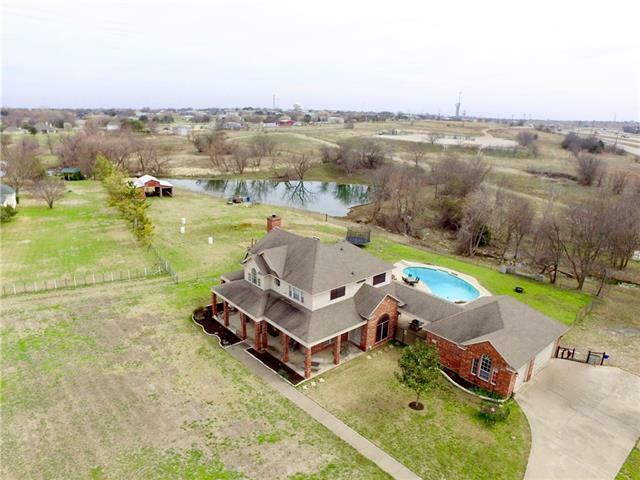 Bring your animals and enjoy the luxury of having over 6 acres of space and outdoors yet the convenience of being centrally located just minutes from Ft. Worth. All of this in Northwest ISD! 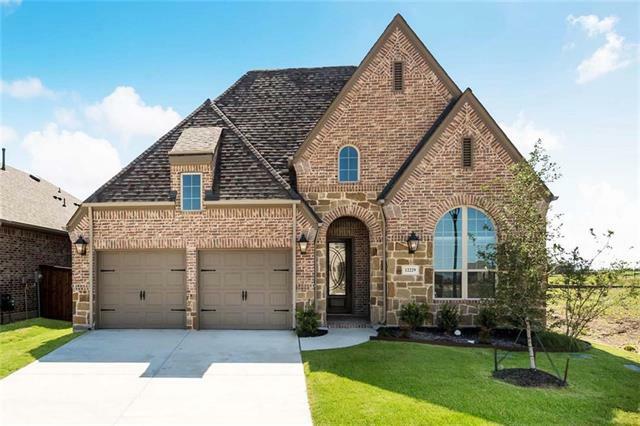 Home features open living area, vaulted ceilings, gorgeous stone fireplace, hardwood flooring, ceramic tile, granite, 3 car garage and brand new roof. Outside you will find an inground swimming pool overlooking the spring fed cre"
"ONE ACRE in a gated community with its own private back yard saltwater pool oasis with diving rock, this beautiful brick ranch has space for everyone! Foyer entrance greets flanked by formal dining with vaulted ceilings; made for entertaining, a billiards room has access to large back patio & pool. A guest bedroom with ensuite full tile bath sits just off the foyer. 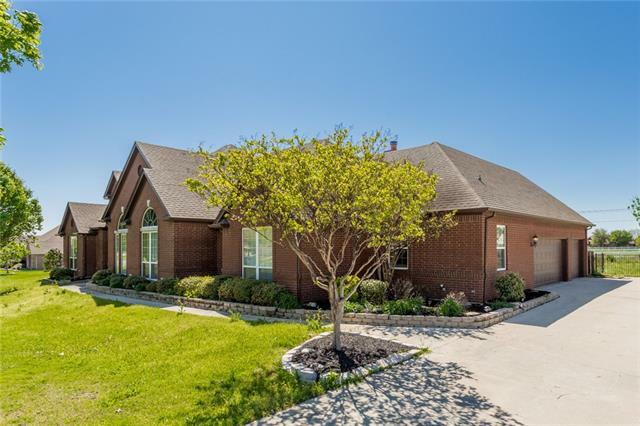 Around the corner, private master has access to back patio & ensuite tile bath with soaking tub, his & hers vanities, & walk in clo"
"Country Living at its best in a beautiful community!! Stunning marble flooring greets you at the entry. Wood look tile flooring is through out the kitchen and great room. Kitchen features an abundance of freshly painted cabinets, Stainless steel appliances, Island, and walk in pantry. Great room is adorned with crown molding and beautiful custom made drapes. Flexible floor plan creates versatility. 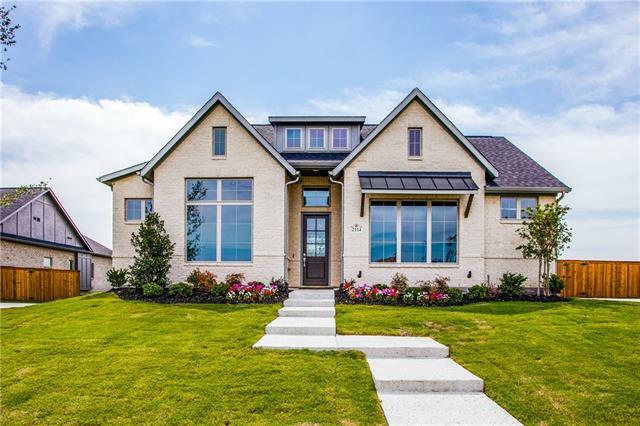 Could also be used as 4 bedroom with a study and flex room or 5 bedroom with Mother in law suite w"
"MLS# 13990840 - Built by Taylor Morrison - Ready Now! 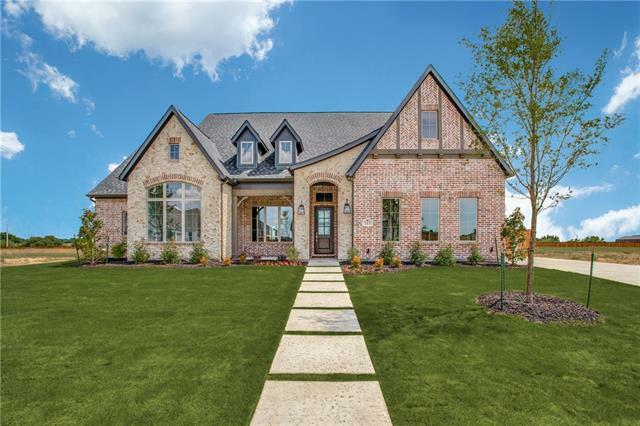 ~ This Peridot features an open concept floor plan with a gourmet kitchen and island great for entertaining; just steps away find the large gathering room with added corner fireplace. Walk out to the covered outdoor living space to take the party outside. This home offers more efficient space with an over-sized laundry utility room. Enjoy a private, extended master retreat on the first floor with a beautiful master bathroom and large walk-in "
"Multiple Use Property-not zoned-the possibilities are endless!! 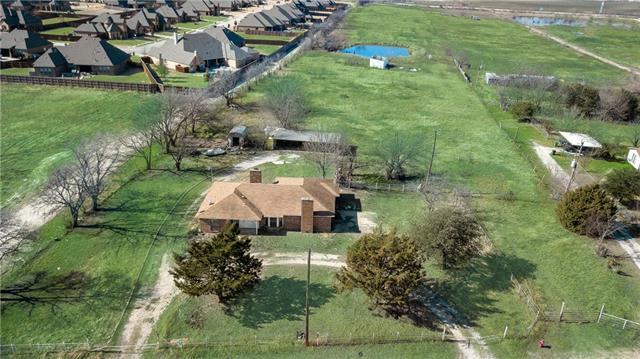 Easy access to Hwy 287 and Hwy 114. Potential INCOME PRODUCING (in current condition) with 2400sq ft mobile home,2 efficiency apartments,2 enclosed shops,2 RV spaces, storm shelter,3 carports,several barns,arena with loading shoot,garden,landscaping,and coastal field,all metal fencing,cross-fenced,cattle guard. Located in County with no restrictions,surrounded by industrial & manufacturing developments-flat terrain land.Co-op electr"
"MLS# 13990212 - Built by Taylor Morrison - Ready Now! ~ The Larimar comes with the wow factor. A beautiful wrapped staircase greets you in the foyer with a study (ilo the flex space) and formal dining on either side. The corner fireplace has shiplap surround. The formal dining connects to the gourmet kitchen by a butler's pantry making dinner parties a breeze. Don't miss a thing with a large island in the kitchen overlooking the gathering room with a casual dining space, a perfect layout for ent"
"MLS# 13990298 - Built by Taylor Morrison - Ready Now! ~ The Jade is a sprawling one-story plan that offers so much. This home features four bedrooms, a media room, a formal and casual dining room and a gathering room with fireplace, open to the gourmet kitchen with upgraded cabinets is perfect for a large family or extra guests. Walk-in closets in every room is an added bonus. The owner's entry is a great place to drop the days baggage before entering the heart of the home. A large laundry-utili"
"MLS# 13971114 - Built by Highland Homes - Ready Now! ~ Beautiful 2 story home with dramatic flared staircase and soaring ceilings! Large study off the entryway. Separate dining room. Unique kitchen with massive island, open to the large family room. Corner stone fireplace.Enlarged master suite with luxurious master bath featuring spacious shower and garden tub. Upstairs you'll find two oversized children's bedrooms, plus 2 full baths, plus a big gameroom overlooking family room below. 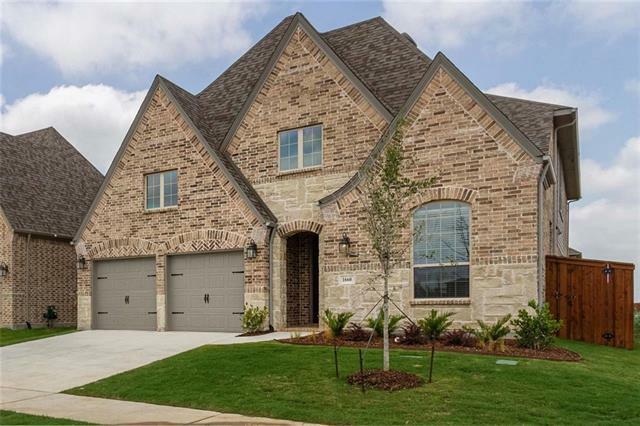 Wonderful "
"MLS# 13992592 - Built by Highland Homes - Ready Now! 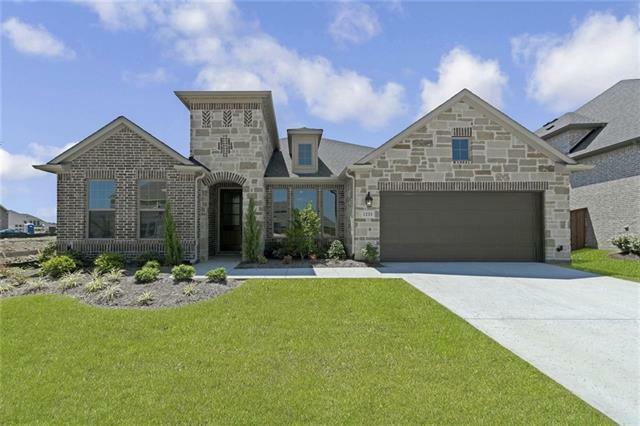 ~ Beautiful 2 story home with stone exterior is perfect for family fun! 2 bedrooms, 2 baths up; 2 bedrooms, 2 baths down. Unique entryway opens to large study and dining room. Large granite island kitchen with stainless appls is open to the dining room and family room, with tall corner stone fireplace. Large master with huge walk in closet, and large walk in shower and garden tub. Large covered patio. Upstairs features gameroom plus an enter"